Wood is an extremely versatile and renewable raw material for the processing and energy-producing industries. 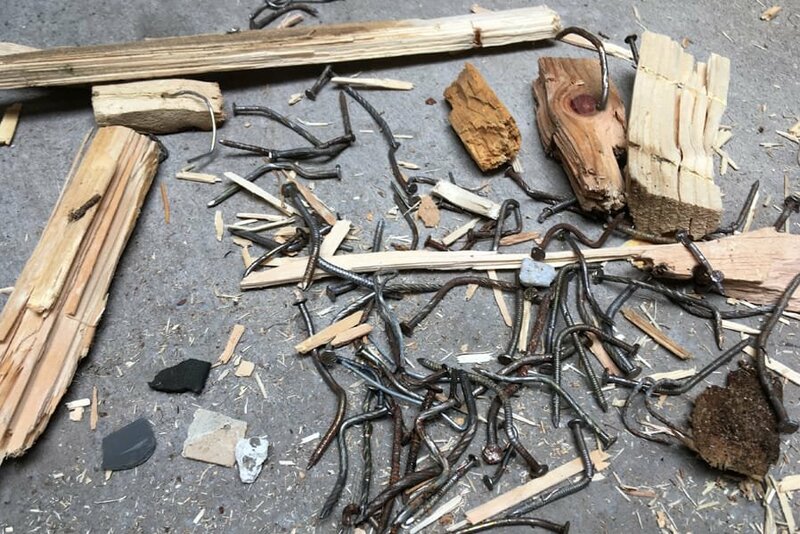 The proportion of wood waste of categories A 1 to A 3 (without preservatives and freed of contaminants) for the manufacture of panels, doors, floors and furniture continues to grow. Naturally, wood waste is more economical than fresh wood or other polymer-based materials. The objective of the processing industry is thereby to obtain a high-quality raw material for their production at an attractive price. 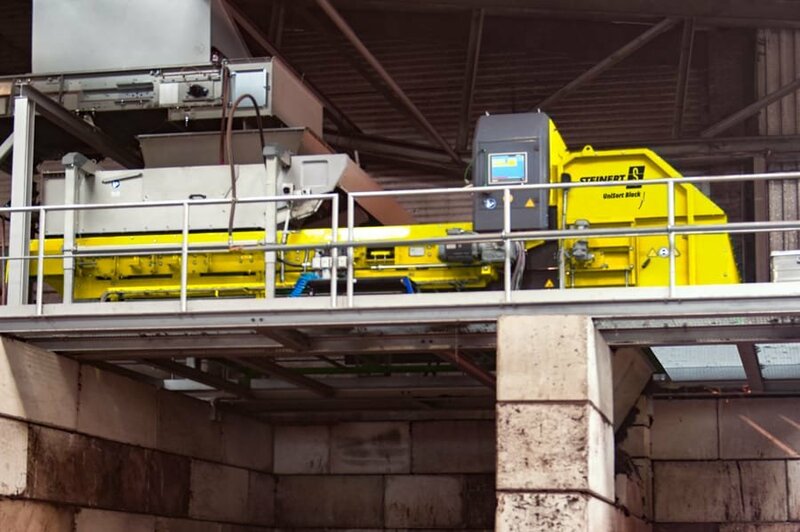 In the manufacture of wood chips for the processing industry or as a biomass raw material it is almost unavoidable that contaminants will be present in the material. 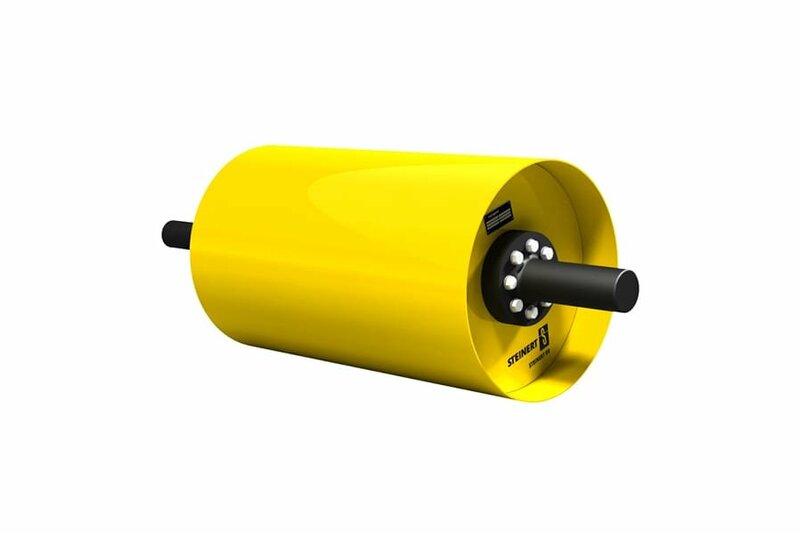 This can lead to damage of machinery or the failure of the material to meet the specifications, so that finished parts run the risk of damage. Ferromagnetic iron parts (fittings, nails etc.) 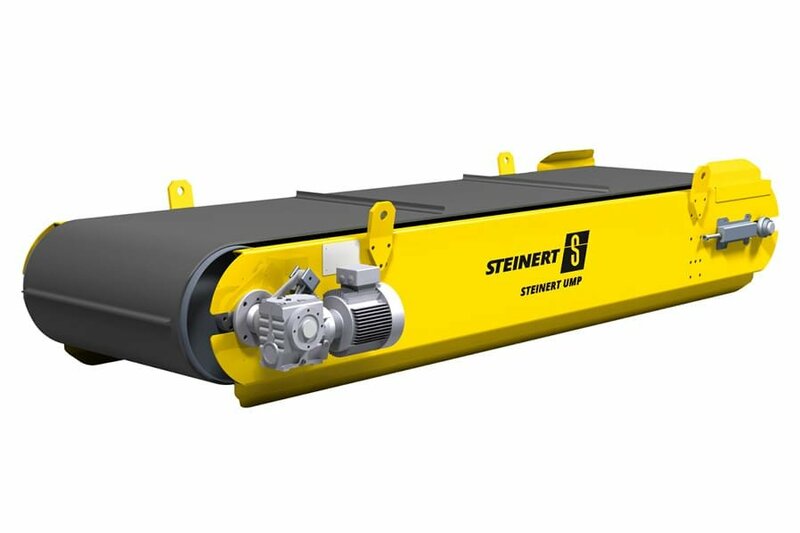 in the coarse fraction of fresh wood and wood waste are therefore typically separated by our STEINERT overhead suspension magnet units in an excavating manner of operation – using either electromagnets (UME) or permanent magnets (UMP). 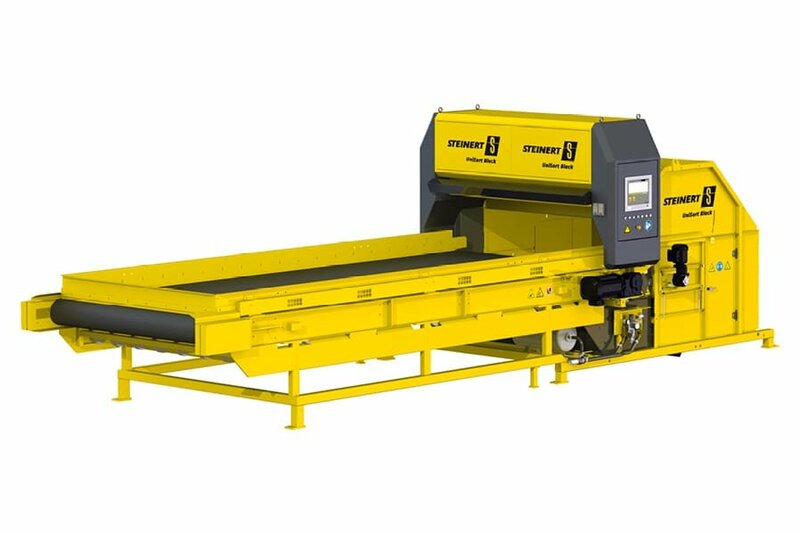 The screen cuts <80 mm separate Fe metals using an electromagnetic drum (MTE) or permanent magnetic drum (MTP), and then on to a permanent magnetic head pulley (BRP) in barium ferrite and/or neodymium quality. Non-ferrous metals in the material stream, e.g. 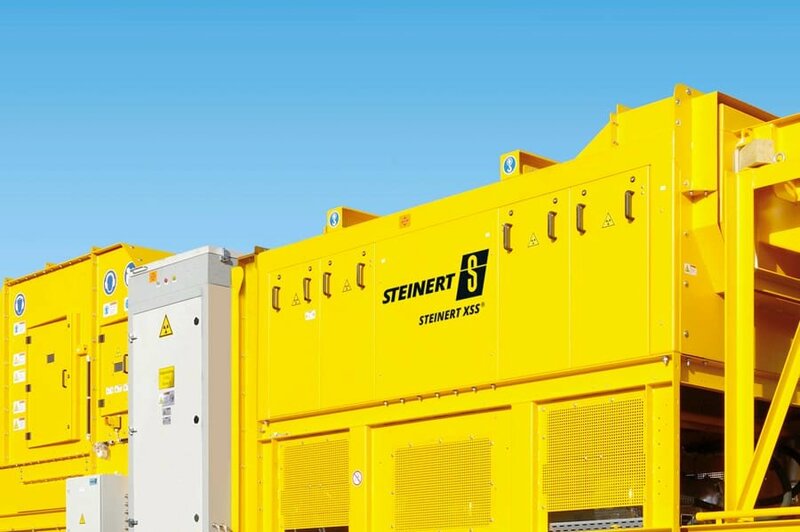 brass, copper or aluminium, can be sorted from the material stream with the STEINERT EddyC® by means of eddy-current pulses. 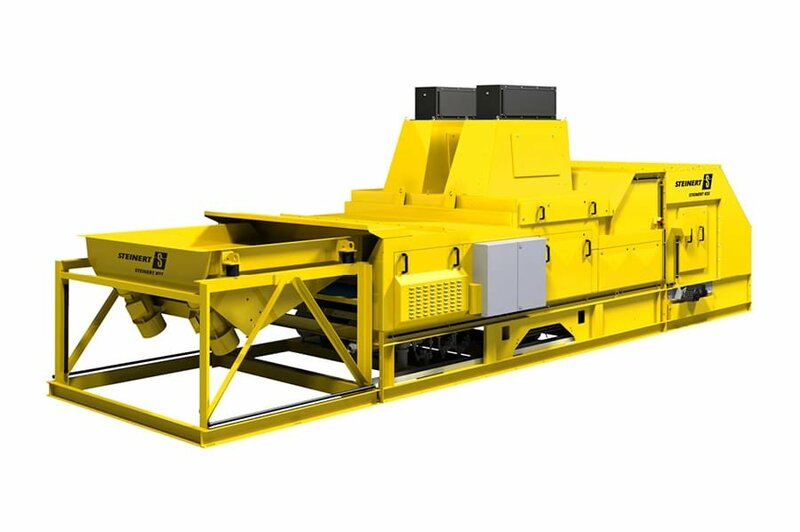 The trusted, eccentrically adjusted pole drum ensures the highest possible efficiency even for fine and low-mass non-Fe metals. 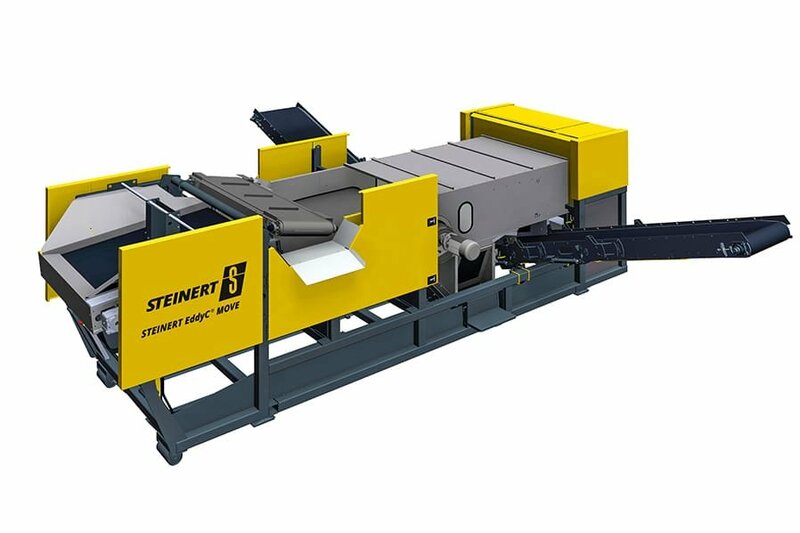 Abrasive, wear-inducing contaminants in stainless steel can be detected and sorted away using the metal sensor of the STEINERT ISS®, or as a sensor combination (STEINERT KSS) in other sorting machines – even in material layers of up to 70 mm thickness. 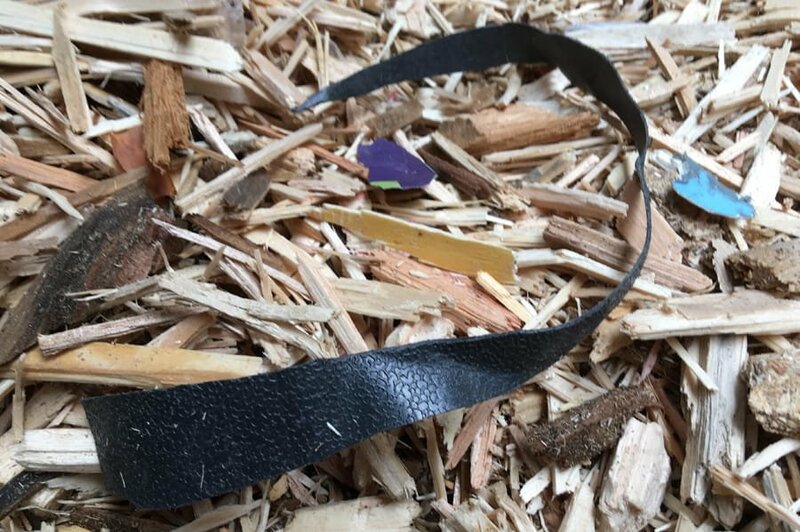 With growing use of wood waste in the furniture-making industry, the detection and separation of plastics and commingled waste materials such as wood-plastic composites is of particular importance. 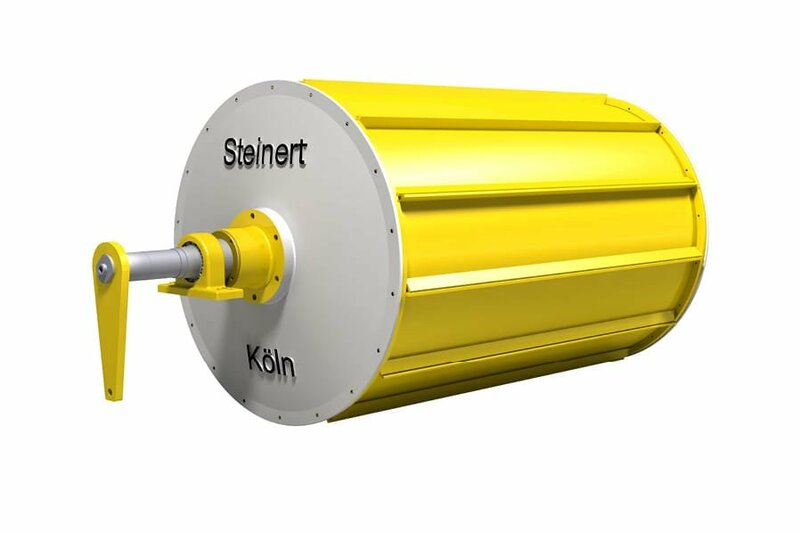 For small and medium throughputs of 5 – 20 t/h it is still possible to convey the material in a monolayer for contaminants such as plastic (PE, PP, coatings and commingled waste) to be separated using NIR technology (UniSort PR, UniSort Black or STEINERT KSS). If the layer of material on the belts is too thick owing to a high throughput volume, x-ray transmission detection can be used. Materials such as technical plastics, stone, glass and metals, that have a measurably higher atomic density than the wood, can be accurately sorted off by the STEINERT XSS T. Under certain mechanical conditions, oversorting of wood chips can occur, and physical limits are also reached in distinguishing between wood and non-wood objects. 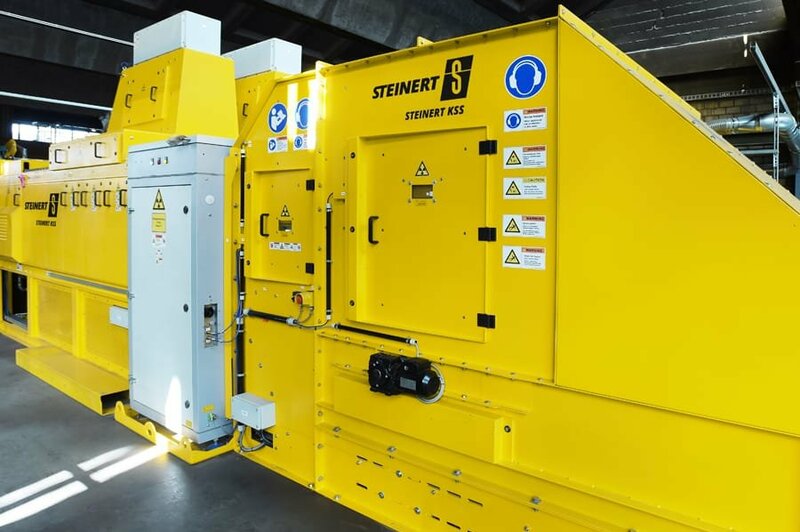 Typically, however, by combining the various technologies it is possible to separate up to 95% of the contaminants contained. Difficulties in separating contaminants from wood can sometimes be caused by dark plastics that have the same density as wood. With the high detection rate of the UniSort Black IR camera and its high belt speed, however, it is possible to equalise the material and thereby to detect black plastics and separate them. 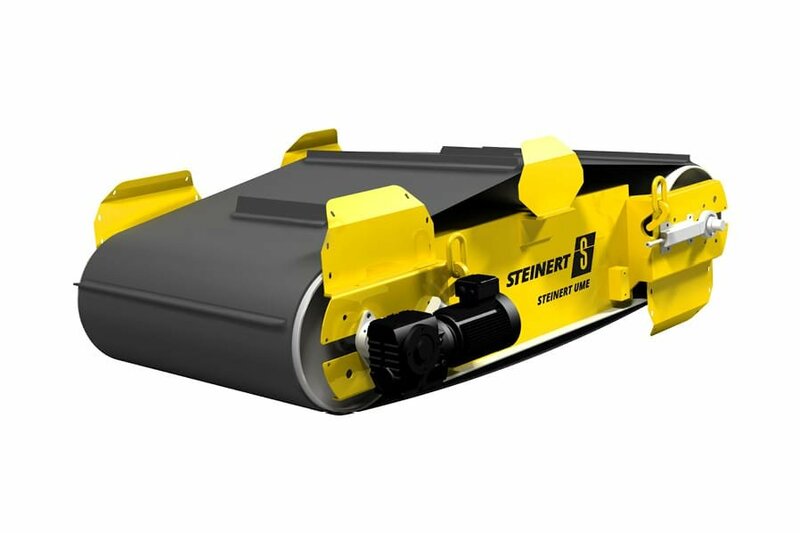 Detection and separation of detectable plastics and contaminants in shredded A2 wood waste using the STEINERT KSS. This solution is suitable for small to medium volume flows since the detection partly involves surface scans. For this, the best possible segregation of the material is necessary. 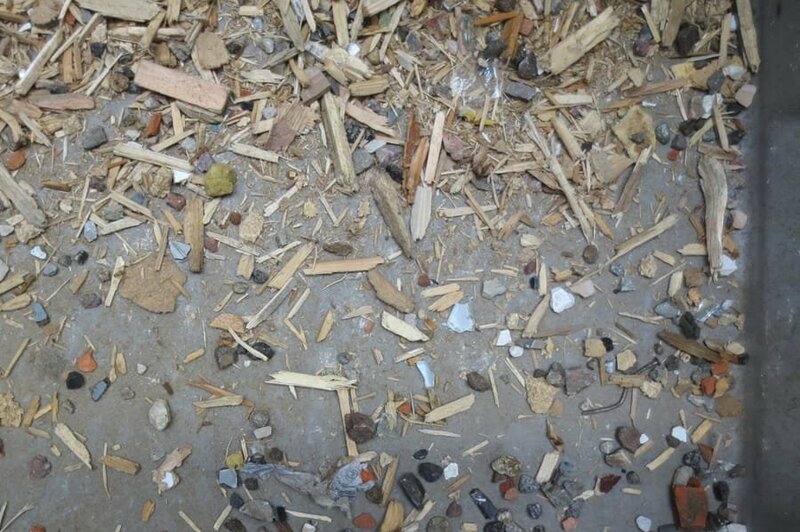 X-ray sorting of wood to separate out contaminants such as glass, stone, ceramics and metals as a ‘collection group’. Because of the different atomic densities of the objects, the contaminants are easy to detect, and overlapping and differences in colour do not pose a difficulty. A major benefit is the long life of the x-ray components and that of the machine overall.